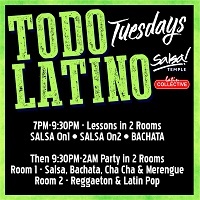 LondonSalsa is simply the best place to advertise your business to the London / UK Salsa community. Every advert we accept is intended to be beneficial to our users. 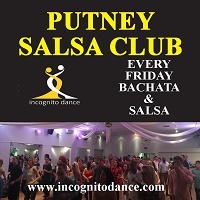 If your offering is directed to seasoned dancers or beginners - salsa classes, salsa parties, live salsa bands or great salsa dance venues, then we have over 10 000 unique visitors per month who are looking for your brand of fun. 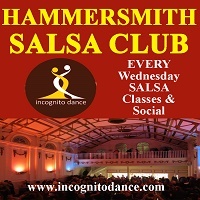 If you seek to deliver services or products to the professionals who run salsa classes, salsa parties, salsa bands or venues, then the LondonSalsa newsletter to over 600 professionals has an interested and targeted readership, who will consider your offering as valuable to them as it helps their own offering to become better. 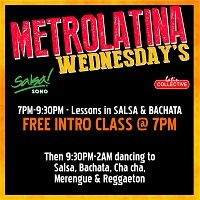 With a demographic that typically is aged between 21-60 with a female/male split of 55/44, the prime reasons to take up salsa include health and fitness plus the opportunity to meet friends. 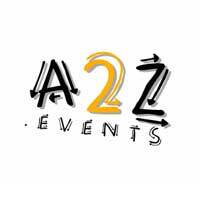 We are particularly keen to host creative win-win marketing opportunities. Offering prizes in our competitions is fun for our visitors. Offering discounts to our members also has a particularly good response rates. 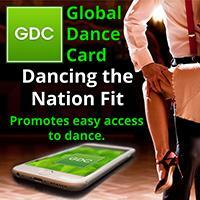 Our rate card has been designed to accommodate anything from major national brands, dance venues, bands, seasoned promoters to newly formed salsa classes simply looking to dip their toe into this ever growing market. 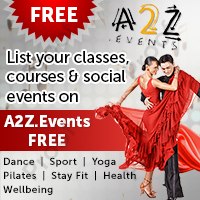 A simple listing of your club or classes is completely free!